We’re all about new experiences on the SBP team—with our families, with our partners, with just ourselves. We’ve dubbed 2019 as the ultimate year of adventure and, believe it or not, much of the best exploration can be done right at home—meaning, well, America. Take a peek at our top four travel destinations in the U.S. this year and start checking off that domestic bucket list. For a chic taste of the past, look no further than Savannah, Georgia. Teeming with Neoclassical mansions draped in veils of Spanish moss, Savannah is an eye-opening admittance to a world you didn’t know existed in the U.S. The seemingly antiquated yet modernized city is home to a new wave of Southern cuisine, Parisian-like boutiques, well-curated galleries and, of course, numerous historic sites. For a killer brunch, head to The Collins Quarter (you can’t go wrong with their brioche French toast) and stop by The Grey for a tastebud-blowing dinner—think fresh oysters and insane rib eye with herbed butter. Savannah is a drinker’s heaven, so be sure to take a seat at Chromatic Dragon, Jen’s and Friends and Treylor Park for a real stiff taste of the South. Book a room at Perry Lane Hotel or the riverfront Alida Hotel and get ready for a sweet weekend of Southern exploration. 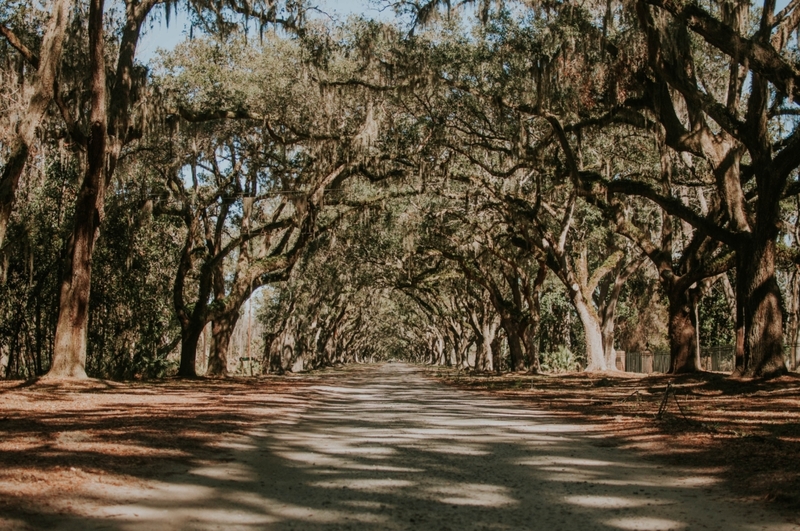 Explore the aisles of the Paris Market and Brocante, walk through the mystical Forsyth Park, visit the quintessential Wormsloe Historic Site and, if you’re up for a little scare, go on a Hearse Ghost Tour. If you’re looking for a new summer getaway with the family, make your way up to Portland, Maine. The city has grown increasingly popular in the culinary world as of late (voted the 2018 restaurant city of the year by Bon Appétit), but its refreshing east coast vibe and immaculate seaside landscape never cease to amaze. Portland’s restaurant list is never-ending and ever-evolving, but make sure Tandem Bakery, Drifters Wife, Duckfat, Fore Street, Central Provisions and Eventide Oyster Co. are high up on your eat list. No trip to Portland is complete without a beer or two (or more, let’s get real—you’re on vacation) from its many craft breweries. Get hoppy at Allagash Brewing Company, Foundation Brewing Company, Austin Street Brewery and Rising Tide Brewing Company. If you want a luxurious stay in downtown Portland, The Press Hotel is an absolute must. The Francis is a more boutiquey option, housed in an 1881 Italianate mansion, with all the frills of modern vacationing. 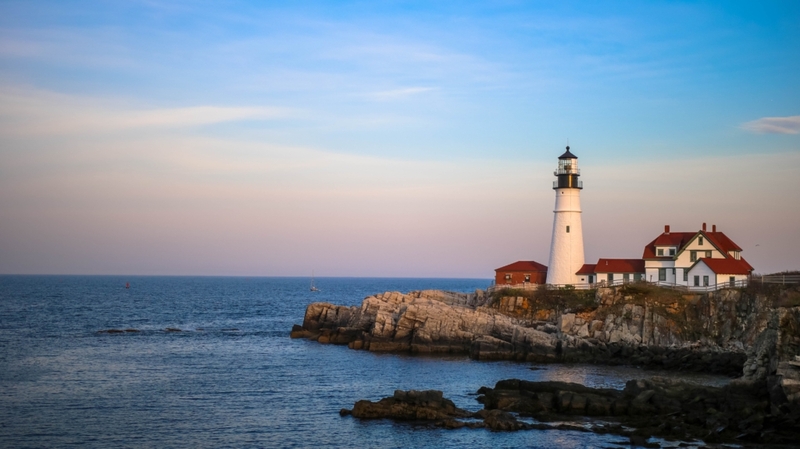 Portland is a bona fide summer haven, offering countless activities for the whole family—whether that be exploring the historic Portland Head Lighthouse, surfing at Higgins Beach, biking the city’s 70 miles of trails or going for a golden hour cruise on Casco Bay. Hop aboard the travel trend train and head to Austin this year—whether that be on a couple’s trip or with the kiddos. This Texas hotspot has become one of the hippest cities to visit in all of America, teeming with a bright, creative spirit that translates to cuisine, design and beyond. Only there for a weekend? Take note of our must-dos below. Grab a quick coffee and breakfast tacos at Jo’s Coffee or head to Café No Sé for healthyish morning eats (hello green pea beignets). 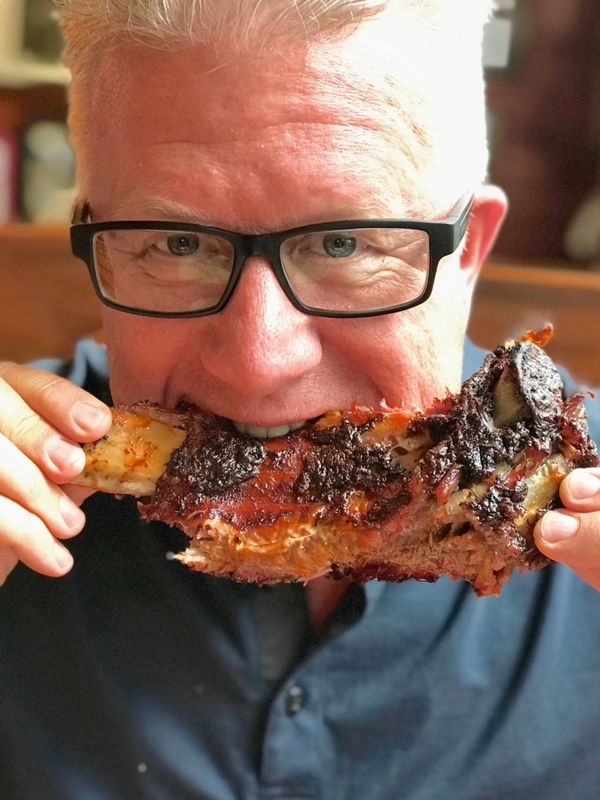 When lunch rolls around, look no further than June’s All Day, a homey diner with a chic modern twist, or Salt Lick for some killer BBQ. For dinner, make sure you snag a seat at Jeffrey’s, a classy Southern joint that doesn’t skimp on taste. Hang and sip on the outdoor patio at Weather Up, indulge in a champagne spritzer at Clark’s Oyster Bar and, for a nostalgic late-night brasserie vibe, head to Justine’s. Hotel San José is a must if you want to be in the heart of it all, offering a thoughtful, minimalist and uber-hip ambiance to kick back after a day of exploration. South Congress Hotel is another remarkable lodging option, showcasing a comfortable yet contemporary design aesthetic (plus a sweet rooftop pool). Art is integral to life in Austin, so put The Contemporary Austin and Blanton Museum of Art on the top of your to-do list. And if you want to get active, consider paddle boarding on one of the city’s many lakes. Jamming to live music is also a must while visiting Austin, so make your way to Antone’s or Continental Club for an unforgettable performance. Sure, Utah’s National Parks are a must. As is the Grand Canyon. But have you been to Sedona yet? Like something out of a movie, Sedona captivates with its striking red rock buttes, steep canyon walls and tangible spirit that nourishes the mind, body and soul. Whether you’re in need of a spa retreat or memorable family vacay, put this slice of Arizona magic on your travel list. Whether you’re fueling up before or after a hike, head to Etch Kitchen & Bar for delicious American fare, Mariposa for Latin-inspired cuisine and Dahl & Di Luca Ristorante for mouthwatering Italian eats. Cheers to a day on the trail with a beer at Mooney’s Irish Pub, a true Sedona hole-in-the-wall, or sip rosé al fresco at Vino di Sedona, a charming, art-filled spot with great live music. If you want to escape to Sedona for some much-needed rest and relaxation, Mii Amo is calling your name. Whether you choose to embark on a 3-, 4- or 7-day journey, you can rest assured that you’ll find the inner peace you’re looking for. For a classic hotel stay, book a room at the new L’Auberge de Sedona, a creekside luxury resort that serves as your family’s basecamp to explore and unwind. 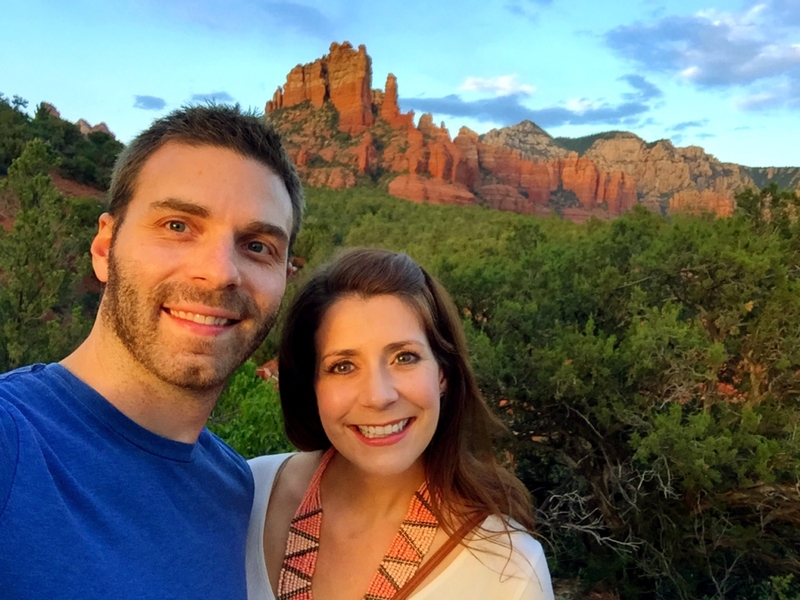 What isn’t there to do in Sedona? The number of trails is seemingly limitless, but be sure to hike Cathedral Rock and Boynton Canyon, which starts amid a pulsing energy vortex. And if your legs need a break from hiking, jump on a jeep tour to witness Sedona’s sprawling landscape. Then, of course, retreat to your hotel’s spa for the ultimate adventure cap.